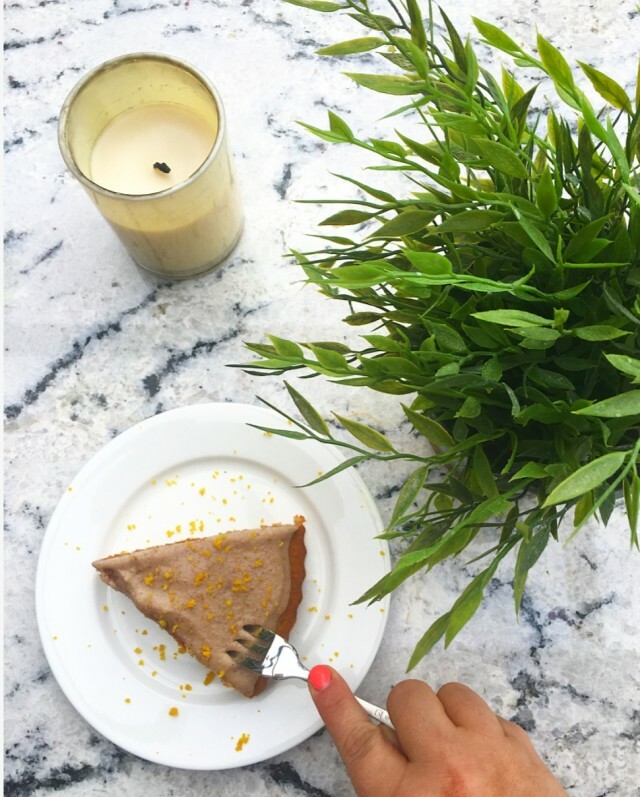 Orange and Almond Cake with Raw Cashew Butter Icing. This recipe showcases my love for yummy food, health and nutrition! It’s packed with healthy fats and full of flavour. The almond-meal not only maintains the moisture of the cake but the nutty flavour goes perfectly with the punch and zest from the orange. This cake is great for morning tea — it’s nutrient dense which helps get you through until lunch time! Enjoy! 2. Grease a 20cm circle cake tin with canola spray and line with baking paper. 3. Process the almonds in a food processor until they resemble fine breadcrumbs. Place in a large bowl. 4. Add the self raising flour, zest and baking powder into the bowl and gently stir with a spatula. 5. Fold through the remaining cake ingredients. 6. Pour the mixture into the cake tin and bake for 30 minutes or until golden. Method for the cashew butter icing. 1. Process the soaked cashews in a food processor with ¼ cup water. 2. Add the remaining ingredients and process until the mixture resembles an icing consistency. 3. Spread the icing on the cake once cooled. Previous Post63 Adelaide venues with FIREPLACES!